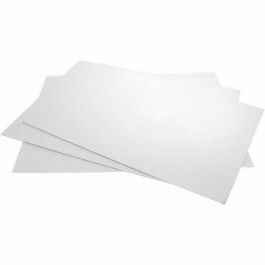 Bainbridge Alphamount ArtCare White Backing Board is made from pure alpha cellulose and features archival quality and superior rigidity. Double sided white. 2-Ply = 24 points (609 microns) 1/32" thick. +/- 1/16" sizing. Bainbridge Alphamount ArtCare White Backing board provides the highest level of archival protection available today. ArtCare backing board is made from alpha cellulose, which is naturally acid-free. ArtCare is used by museums to display and protect priceless artwork all over the world. Using ArtCare to house your valuable artwork will ensure protection against pollutants that cause yellowing and deterioration.